You are here: Home / Film Reviews / Can You Ever Forgive Me? There’s a scale for private letters from icons: $75 for a genuine Fanny Brice letter, $350 for a genuine Fanny Brice letter with a fake PS. Lee Israel, failed biographer turned successful forger, has probably stumbled upon one of the few lucrative careers in writing, so it’s a pity it’s illegal. It’s a writer’s job to get to the heart of a subject and write in their authentic voice, and it’s a technique that Lee (Melissa McCarthy) has perfected, hiding herself while laying bare the lives of other people. She’s written two well-received books, and been a New York Times bestseller. But those days are behind her now, and when she loses her nighttime editing job for swearing, her terrible situation becomes hard to ignore. It’s mostly financial but not all. She has few if any friends, her ex-girlfriend won’t answer the phone. Luckily the cat’s still around, for now. She’s months behind on the rent but the filthy state of her apartment means they’re unlikely to move new people in soon. She’s even reduced to thievery. Pitching up to a literary party (the kind where you want to punch 50% of the guests) thrown by her agent Marjorie (Jane Curtin), Lee is the invited guest no one expects or wants to turn up. She leaves early, stealing an expensively warm winter coat on the way out. Outside of her writing, we hear a lot of Lee’s authentic voice and unfortunately it’s a jarring one. She’s rude, unfriendly and creates barriers around herself no one could break through, until she meets Jack (Richard E Grant). Jack’s the type of character we all love: a roué, an old drunk, a flappy scarves and cravat-wearing louche. But he has twinkly eyes and scathing wit, and is always hugely entertaining even (especially?) when his life is going to hell. He’s the perfect foil for Lee: where she’s protecting her inner self from the attentions of other people, he’s desperately trying to ignore his own. Where she is introverted he is an extrovert, both of them hurtling through Manhattan hoping to get to the end without any more pain, turning their self-loathing outward. Lee’s apartment might be a musty, cat poo-filled mess but director Marielle Heller’s film (based on a true story) is a breath of fresh air. Taut and spare, every character has real depth – and how often do we get a beautifully acted comedy about two middle aged, gay, drunk people who hate everyone? Jack and Lee are hilarious and often hugely irritating. Initially it’s a friendship based on drinking and failure-induced cynicism; life has taught them to neither trust nor be trustworthy. They’re also both tealeaves: shoplifting for him (with a handy masterclass on stealing toothpaste), the voices of usefully dead writers for her. One of the few things of value Lee has is a personal letter from Katherine Hepburn, framed and in pride of place on her wall. She sells it, then finds a letter from Fanny Brice in a library book. It’s not worth much as there’s little interesting detail, so she adds a more personal and personable PS, and sells that too. Her workstation becomes a row of old typewriters from different eras, each one labelled with the dead literary or entertainment genius whose voice will come from it. It’s fun but it’s also work, reading up on these stars to make their phrasing sound authentic, writing letters in their voices and names and selling them to inexperienced, hopeful or greedy book dealers around the city. One of her buyers is Anna (Dolly Wells), who owns a little bookstore left to her by her father. She’s lonely, younger than Lee, but wants more. Lee, finally at a place where she can open up, now has to keep her distance. Jack’s enjoying the proceeds of her crimes before he becomes her partner in them, though when he does start selling for her he’s a huge success. A born actor who can chitchat his way around the most suspicious buyer, he fronts her business while she risks all for ever-more audacious literary thefts. The end, when it comes, is brutal. She’s overreached herself, and the FBI is on her trail, aided by the dealers who’ve sold on her forgeries to more expert people. McCarthy is fabulous, creating in the unlikeable Lee someone that we still root for from the off. 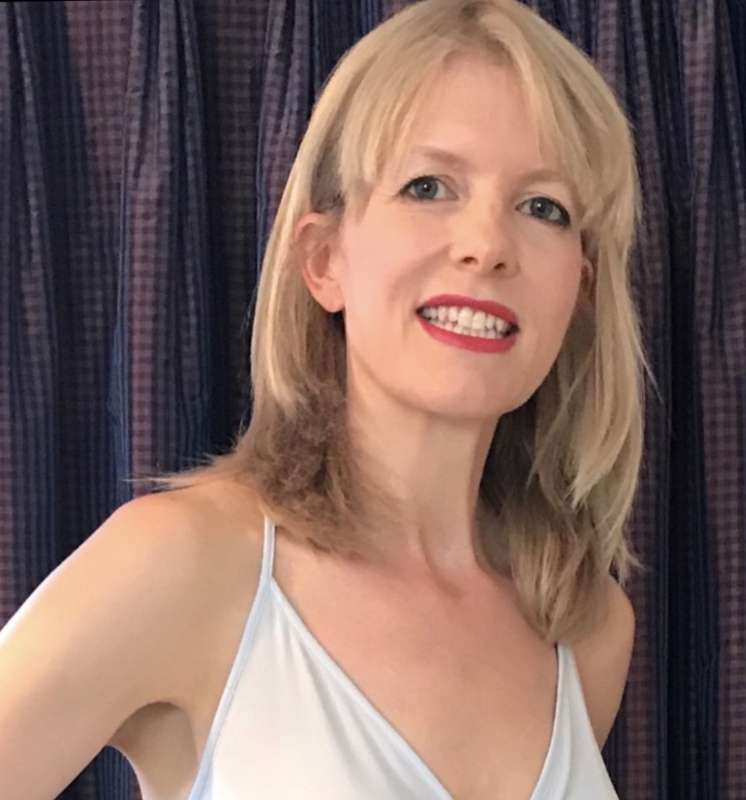 She’s a deadened woman who brings other voices back to life, her brittle wit sparkling through the voices of successful dead people, making them yet more successful – something that makes her both delighted and resentful. Grant is simply superb, slowly peeling off the layers to find Jack hiding from himself. Lying to himself, lying to her, it’s only when their relationship is finally built on honesty that they can both move on, choosing whether or not to be friends rather than simply drinking buddies to dull their own particular pain. Jack is play-acting and there’s certainly something of the luvvie about him. All the world’s a stage, well Manhattan anyway, as he throws everything into his performance. Can You Ever Forgive Me? (the title is from a line in one of Dorothy Parker’s letters) has similarities with Velvet Buzzsaw, which demolishes that art world conceit where talk of beauty and talent and ideas are a mask for a money-driven racket. Here again the question is, what is value. So Dorothy Parker’s fingers did not themselves bash out these letters; Lee’s voice is as good as hers and the buyer is none the wiser. And like Velvet Buzzsaw, there is one truly likeable character in a sea of grasping, greedy dealers. Dolly Wells is touchingly hesitant as Anna, living in a small world of safety among her books but knowing she’s outgrown them. The irony is that strong, authentic voices are easily mimickable. “I’m a better Dorothy Parker than Dorothy Parker” Lee says. Even her lawyer is impressed. Her sorry-not-sorry speech to the court is a corker. It would be, as it’s finally her own voice. I wish Lee and Jack of them had written letters to each other – now that would be one hell of a book. 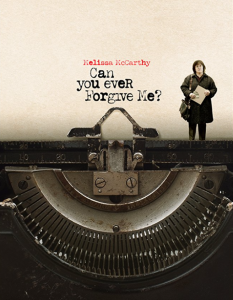 Watch the trailer for Can You Ever Forgive Me?